Item # 310669 Stash Points: 499 (?) This is the number of points you get in The Zumiez Stash for purchasing this item. Stash points are redeemable for exclusive rewards only available to Zumiez Stash members. To redeem your points check out the rewards catalog on thestash.zumiez.com. Add some extra color and style to your hat, your backpack or anything else you can think of with the Deja Pins Peace Dude Enamel Pin. 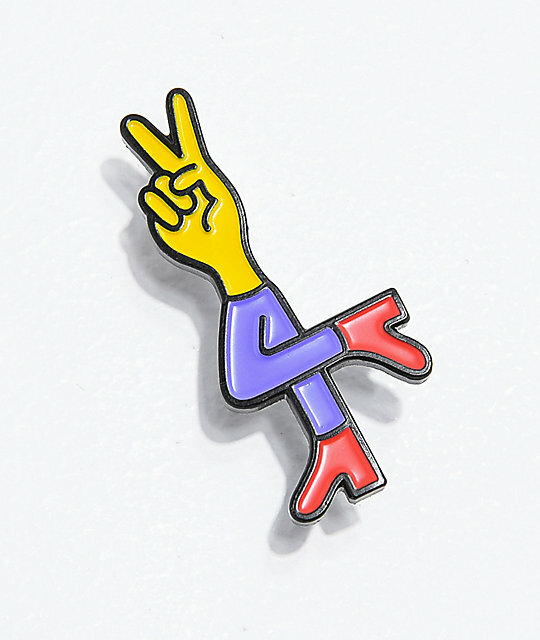 This durable enamel pin features the image of a hand forming a peace sign with purple and red legs. Peace Dude Enamel Pin by Deja Pins.